Guru Nanak Nishkam Sewak Jatha (GNNSJ), a multi-faceted Sikh faith organisation has joined religious leaders from across the G8 countries, to call for their Heads of Government to honor commitments in achieving the Millennium Development Goals (MDGs). The international campaign to call for Government action involves over 60 esteemed religious leaders from across the globe, including the Archbishop of Canterbury and Chairman of GNNSJ and the Nishkam Civic Association, Bhai Sahib (Dr) Mohinder Singh, who have joined forces to highlight that from Friday 5th April 2013, 1000 days remain until the 2015 deadline to achieve the MDGs. 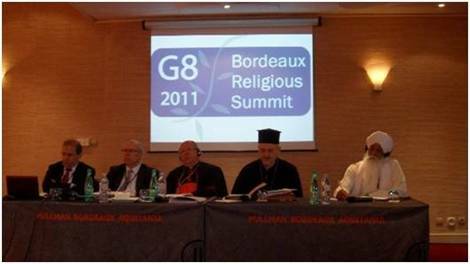 With a focus on tax, trade and transparency, the religious leaders state, the UK Presidency of the G8 has the potential to advance the MDG agenda in ways that strike at the underlying causes of poverty, in particular by ensuring the wealth created by developing countries is not lost through unfair tax practices, a lack of transparency or a failure to secure the benefits of trade for developing countries. It is encouraging to report that by committing to the MDGs, Governments, international organisations and civil society groups around the world have helped more girls into education and reduce child mortality in areas of extreme poverty. However, the world needs to continue to fight killer diseases, such as malaria, tuberculosis and AIDS. 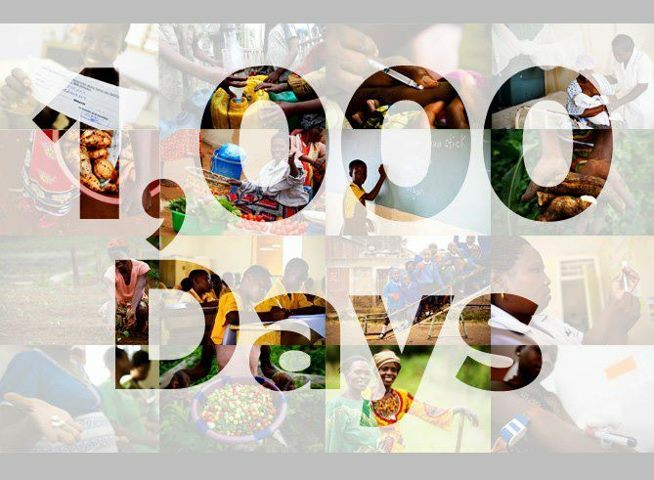 There are 1,000 days to accelerate action on issues such as hunger, access to education, improved sanitation, maternal health and gender equality. Bhai Sahib (Dr) Mohinder Singh said: “In the current 21st Century, we need a new human consciousness – a new human mind-set fired by values and virtues to actually do good for the benefit of all humankind. We have to be ‘Nishkam’ or selfless to address the challenges of delivering the MDGs. The empowerment of each individual within the chain of 7 billion people that make up humanity is necessary”. The Nishkam Centre will continue to use all means possible including social media to support the MDG initiative and encourage all twitter users to use #1000DaysToGo. The hope is a wider appeal by the public will encourage governments not to waiver and understand the groundswell of support. It is important everyone shows their support by joining in how they can. 5. Guru Nanak Nishkam Sewak Jatha (GNNSJ) is a multi-faceted, faith based organisation practicing and propagating the Sikh Dharam (faith) in the name of Guru Nanak Dev Ji (1469-1539). It has been involved in selfless intra-faith work in Kenya and India informally since 1950, and formally in the UK since 1978 as a registered Charity through five centres for excellence in the inner-city depressed area of Handsworth, Birmingham, where its Headquarters are based. GNNSJ also has sister organisations in Leeds and London (UK); as well as in Kericho (Kenya) and Amritsar (India). Significant achievements have been made by GNNSJ in the conservation and restoration of historical Sikh shrines. • Trustee of Anandpur Sahib Foundation. • Chairman, since 2002, of the British Sikh Consultative Forum (BSCF) representing some 80 Gurudwaras and Sikh Organisations in the UK, striving for intra-faith and interfaith community cohesion and engagement with the UK Government’s Department for Communities and Local Government (DCLG). • Chairman of Sangat Trust. • Member of the Elijah Board of World’s Religious Leaders (EBRL). Hosted conference in 2007 in Amritsar, India. • Member of the European Council of Religious Leaders (ECRL). Hosted conference in 2007 at Nishkam Centre. • Member of Fetzer Institute’s Advisory Council on World Religious and Spiritualties. • Member of Tony Blair Faith Foundation’s Religious Advisory Council. • Executive Member of Religions for Peace (UK). • Supporter of United Religions Initiative (UK). • Trustee and Chair of the Museum of World Religions (MWR (UK)) working group. • Supporter of the Council for Parliament of the World’s Religions (CPWR), Chicago, USA. • Supporter of Globalisation for the Common Good, promoting an ethical, moral and spiritual vision of globalisation. Hosted conference in 2005 in Kericho, Kenya. • Supporter of the Goldin Institute, working towards building grassroots partnerships for global change. Hosted Conference in 2005 in Amritsar, India. • Member of Department for International Development (DfID) Faith Working Group. • Supporter of Jubilee Debt Campaign since its inception. • Participant in Shared Act of Reflection and Commitment by the faith communities of the UK, 2000 and participant in World Peace Prayer, Assisi, 2002 upon the invitation of His Holiness the late John Paul II. • Patron of Divine Onkar Mission, UK, a charity reaching out to people in some of the most remote parts of India. • Trustee of Birmingham Citizens, a social action organisation. • Patron of Sikh Mental Health and Wellbeing Trust. • Executive member of West Midlands Faith Forum. • Member of Birmingham Faith Leaders Group since its inception in 2002.